Edward "Easy" Cantrell knows better than most the pain of not being able to save those he loves--which is why he is not going to let Jenna Dean out of his sight. He may have just met her, but Jenna's the first person to make him feel alive since that devastating day in the desert more than a year ago. Jenna has never met anyone like Easy. She can't describe how he makes her feel--and not just because he saved her life. No, the stirrings inside her reach far beyond gratitude. As the pair are thrust together while chaos reigns around them, they both know one thing: the things in life most worth having are the hardest to hold on to. In the second book in the Love Under the Big Sky series from this USA TODAY bestselling author of the With Me in Seattle series, life in Montana gets spicy when a woman and her divorce lawyer sign off the papers—and sign on to love. Now that his best friend, Josh, has happily settled down with his true love on a Montana ranch, small-town lawyer Ty Sullivan starts thinking that maybe single life isn’t all it’s cracked up to be. And when Lauren Cunningham’s no-good ex-husband comes after her for an unexpected trust fund, Ty steps in to protect her. But soon he can’t help but think of her as more than a client. Lauren’s in no mood to jump into another relationship, so how can Ty convince her that her mistake wasn’t getting married, but marrying the wrong guy? Omens, the first installment in Kelley Armstrong’s exciting new series, introduced Olivia Taylor-Jones, daughter of notorious serial killers, and Gabriel Walsh, the self-serving, morally ambiguous lawyer who became her unlikely ally. Together, they chased down a devious killer and partially cleared her parents of their horrifying crimes. Their success, however, is short-lived. While Olivia takes refuge in the old, secluded town of Cainsville, Gabriel’s past mistakes have come to light, creating a rift between the pair just when she needs his help the most. Olivia finds a dead woman in her car, dressed to look like her, but the body vanishes before anyone else sees it. Olivia’s convinced it’s another omen, a sign of impending danger. But then she learns that a troubled young woman went missing just days ago—the same woman Olivia found dead in her car. Someone has gone to great lengths to kill and leave this young woman as a warning. But why? And what role has her new home played in this disturbing murder? Olivia’s effort to uncover the truth places her in the crosshairs of old and powerful forces, forces that have their own agenda, and closely guarded secrets they don’t want revealed. 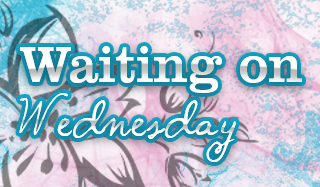 When the half-demon Carter approaches Menolly and her sisters desperately asking for their help, they think he's just had a tiff with Shimmer, his blue dragon girlfriend. 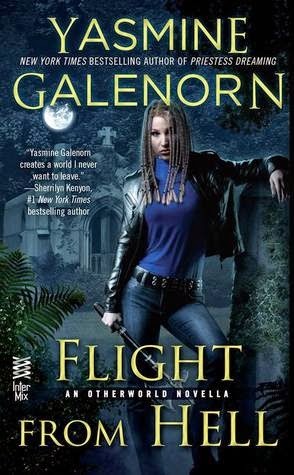 But after talking to Alex Radcliffe, the owner of the Fly By Night Magical Investigations Agency where Shimmer works, they suspect that she has been kidnapped by an old enemy of Alex's. Now, Alex must join forces with the D'Artigo sisters in a desperate race to find Shimmer before Julian, a powerful vampire from Alex's past with a grudge to settle, can use the dragon to wreak havoc on Seattle as revenge. 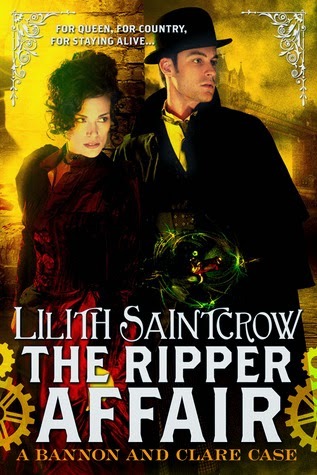 Archibald Clare, mentath in the service of Britannia, is about his usual business--solving crimes and restoring public order until a shattering accident places him in the care of Emma Bannon, sorceress Prime, who once served...and now simply remains at home, tending her solarium in reasonably quiet contentment. What Clare needs now is time to recover, and not so incidentally, a measure of calm to repair his faculties of Logic and Reason. Without them, he is not his best. One could even say that without them, he is not even properly a mentath at all. Unfortunately, calm and rest will not be found. There is a killer hiding in the sorcerous steam-hells of Londinium, stalking the Eastron End and unseaming poor women of a certain reputation. A handful of drabs murdered on cold autumn nights would make no difference...but the killings echo in the highest circles possible, and threaten to bring the entire edifice of Empire down in smoking ruins. Now Emma Bannon, once more, is pressed into service and Archibald Clare, once more, is determined to aid her. The secrets between these two old friends may give an ambitious sorcerer the means to bring down the Crown. And there is still no way to reliably find a hansom when one needs it most. Britannia is threatened. Londinium quakes. Sorcery births an unholy monster. For centuries, Gideon Montrose has served the King of Fairies without question and, often, without mercy. So when the King orders him to apprehend a notorious thief, Gideon obeys. But when he finally gets his hands on the beautiful culprit, Gideon’s in for a shock. Arabella Locksley is none other than the spirited, unpredictable woman he knew back in Make Believe as Robin Hood — the love of his life whose tragic death destroyed his chance at Happily Ever After. Now, he has an impossible choice. Betray the woman he once loved, or the king he’s bound to serve? 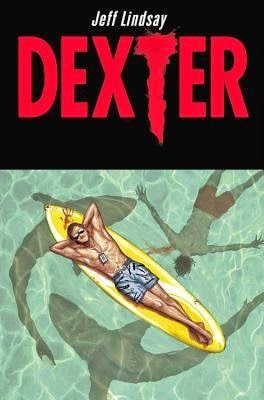 Dexter returns in an all-new, all-Australian, blood-soaked adventure written by his creator, Jeff Lindsay! Dexter Morgan isn't just Miami's #1 forensic blood splatter expert...he's also a serial killer who targets other serial killers! But when Dexter travels down under, he quickly discovers that sharks aren't Australia's only deadly predator! Who is setting up illegal hunting safaris in the Outback - and are humans in the crosshairs? Dexter investigates as only he can, and that means only one thing: blood will flow. Under the hot Australian sun, Dexter's Dark Passenger is given free rein...and the guilty will not go unpunished! I add L. Kayes to my wishlist and I so seriously need to start Dexter!